Available only as a pre-order set! 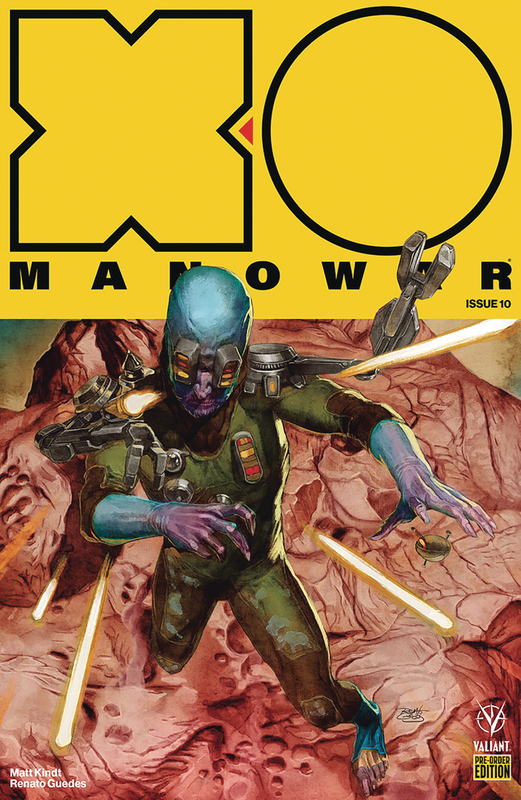 The X-O Manowar #10-14 Pre-order Edition Bundle - Five 40 page, massively expanded editions of X-O Manowar's next staggering story arc 'VISIGOTH,' alongside two shocking standalone stories - can only be ordered as a set and must be ordered with your local comic shop by the intial order date of October 26th, 2017! Released monthly from December 2017 through April 2018, each PRE_ORDER EDITION comes packed with trade paperback-style extras and bonus content, including creator commentary, behind-the-scenes looks at the creation of the comics, process character designs and artwork, and first looks at upcoming issues - plus exclusive covers by Renato Guedes (DIVINITY #0) that can't be found anywhere else! The only way to obtain these exclusive items is to pre-order all five issues with your local comic shop by the intial order date of October 26th, 2017! No more copies will be made available beyond that date and subsequent issues will not be offered in later solicitations!